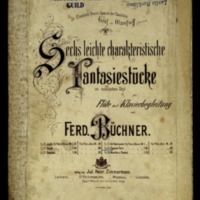 Donated to Monash University Library in 2010 by the Victorian Flute Guild. This score belongs to the Leslie Barklamb Collection. Held in Monash University Library's Music Collection. Find this item in the Library catalogue. 1 score (7 pages) + 1 part ; 31 cm.